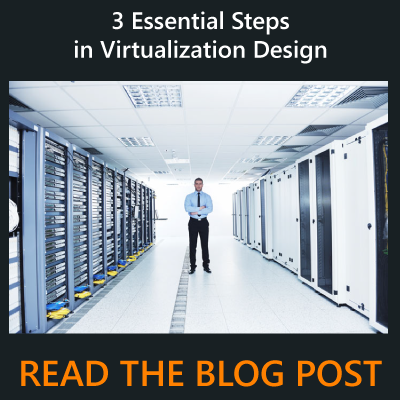 Virtualization is the modern way to expand IT resources with less. Virtualization can apply to applications, servers, storage, and networks and is the single most effective way to reduce IT expenses while providing users better access to systems from wherever they are working. Applications are contained in virtual machines (VMs) which are isolated from each other, but share a pool of resources managed by a hypervisor. Most companies have already adopted virtualization as a way to decrease capital and operating costs. But if you haven’t assessed your current virtualization strategy recently, you may be missing out on opportunities to further optimize your IT infrastructure. There are a number of virtualization technologies that can be implemented; the key is to pick the right set of virtualization tools that meet your specific business objectives. A virtualization assessment can identify your strategic needs and make recommendations. In a virtual server environment, physical servers are partitioned so that they serve the role of multiple servers. Different partitions within the server can operate different operating systems and enable several IT functions on fewer physical servers. With server virtualization, you can consolidate your business applications on fewer physical servers and reduce capital and operating expenses. With server virtualization, each server uses only the processing, storage, and memory resources needed while preventing server overload due to busy applications. IT professionals can manage updates and operating system changes from a central location rather than install them on each machine. They can also easily create a virtual machine for a new employee or for any other use. A company can create, expand, and eliminate virtual servers as business needs change, rather than having to purchase more servers or leave unused servers lying dormant. For companies that need to test applications, virtualization allows IT to create an isolated network for quality assurance purposes. Any company can have a lab without adding new hardware. Do you still have a need for software applications that do not work on newer operating systems or are not upgradable? End-of-life applications can be virtualized on the server partition. Virtualization makes it more affordable to create a replication site to restore system function after disaster, while virtualization software can automatically switch over to standby servers or networks, and test these systems in advance. Desktop virtualization separates the user’s desktop from the physical one by connecting the user to an application with an Internet or wireless network. You can transform and simplify the delivery of your Windows desktops and applications with virtual desktops delivered securely to any end-user device, at anytime, anywhere. Not only can IT administer thousands of users from a single console, they can also move data from individual PCs into a data center where it can be secured, backed up, and controlled. They can also install new operating systems and upgrades from a central location rather than multiple locations. Companies who integrate desktop virtualization into their IT management can provide their users with thin clients, cheap computers with less memory, and processing power designed to connect to the network where they can gain access to the software they need. Users on the road or working at different locations can access their desktop anywhere, from any device such as laptops, desktops, mobile phones, and tablets. Both users and administrators benefit from a standardized interface. When information is stored on virtual servers rather than individual desktops, backup is centralized and easy to manage. As the workforce expands and contracts, virtualization allows users to easily be added and removed from access.